ICYMI: We reported this story several days ago. We have moved the post and it will "lead" all other posts to honor Lt. Murphy who today received posthumously the Medal of Honor! Please share your comments about this genuine hero! by Gidget Fuentes, Navy Times: Two years after his death in a harrowing firefight on a mountaintop in Afghanistan, Lt. Michael P. Murphy, a SEAL from Patchogue, N.Y., will receive the nation’s highest combat honor, Navy officials said. A Navy spokeswoman confirmed Oct. 11 the decision by President Bush approving the posthumous award of the Medal of Honor, the first for the Navy for the wars in Iraq or Afghanistan. Murphy, 29, was leading a four-man reconnaissance and surveillance team during Operation Red Wing in Afghanistan’s rugged Hindu Kush mountains June 28, 2005, when the team was spotted by Taliban fighters. During the intense battle that followed, Murphy and two of his men — Gunner’s Mate 2nd Class (SEAL) Danny Dietz and Sonar Technician (Surface) 2nd Class (SEAL) Matthew Axelson — were killed. A fourth man, then-Hospital Corpsman 2nd Class (SEAL) Marcus Luttrell, was seriously wounded and knocked unconscious, but managed to escape. Luttrell was rescued days later. Murphy was killed while phoning in for reinforcements. The tragedy continued when enemy fighters shot down one of the transport helicopters carrying the rescue force, killing eight more SEALs and eight Special Forces operators. The 11 SEALs killed marked the largest single-day loss of life for the tight-knit community. The more I think about this the angrier it makes me. This evening I was talking to a friend who was one of the first Navy Seals. He is still so proud of his service he could - well - bust. To think someone like Al Gore gets more attention - we all know life isn't fair, especially when you serve your country. We wouldn't be America without people like Lt. Murphy. I left a comment on the guest book Friday Evening and encourage others who also desire to leave one. It is really a shame that a charlatan like Al Gore receives all the headlines when, at a time we need heroes more than ever, a real Hero like Lt. Murphy gets mention deep within the papers. John 15:13,14 "Greater love hath no man than this, that a man lay down his life for his friends." 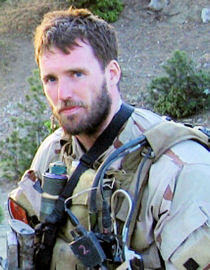 Thank you Lt. Michael Murphy. I too salute you and your award. We bid you "Fair Winds and Following Seas." Let us remember to pray for Michael's parents and family and friends as they attend several ceremonies on October 22nd. Amen! to what you wrote, Bill and others commenting. Michael's family will be in my prayers, along with our troops wherever they serve in harm's way. 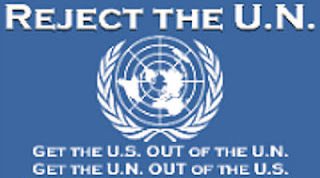 It’s understandable, how can a little unit action half way around the world where one person received the Medal of Honor and three receive the Navy Cross, compare to alerting the world to the dangers of global warming. Our prayers are with Lt. Murphy's family. It just goes to show how screwed up the media can be when Algore's Nobel Global Warming prize (what a joke!) gets more media attention than our true heroes. If you are reading about Lt. Murphy then click on that link and listen as well. I think it is fitting. As a Christian and 19 year veteran, there is nothing I can offer more poignant, than what Dr. Bill Smith posted. Lt. Murphy's family and the family's of all service men and women are in my daily prayers. Respectfully, 1LT Buckman, Mark A.